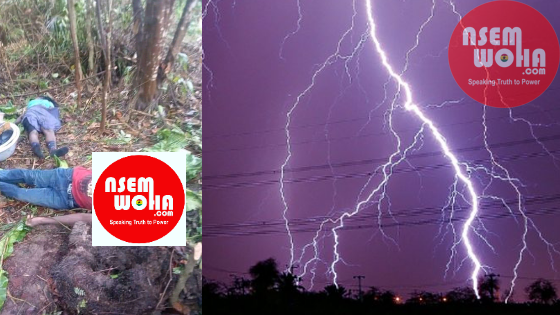 Thunder has killed a husband and his wife at Assin Andoe Sibo Nkwanta in the Assin South District. The victims of the thunder strike which happened in their farm are Emmanuel Botwey 27, and Rita Nketia 26. According to the father of the wife, Yaw Mensah who witnessed the incident, the couple died instantly.